Vintage candleholder from the sixties. 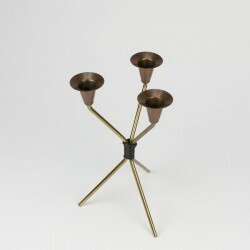 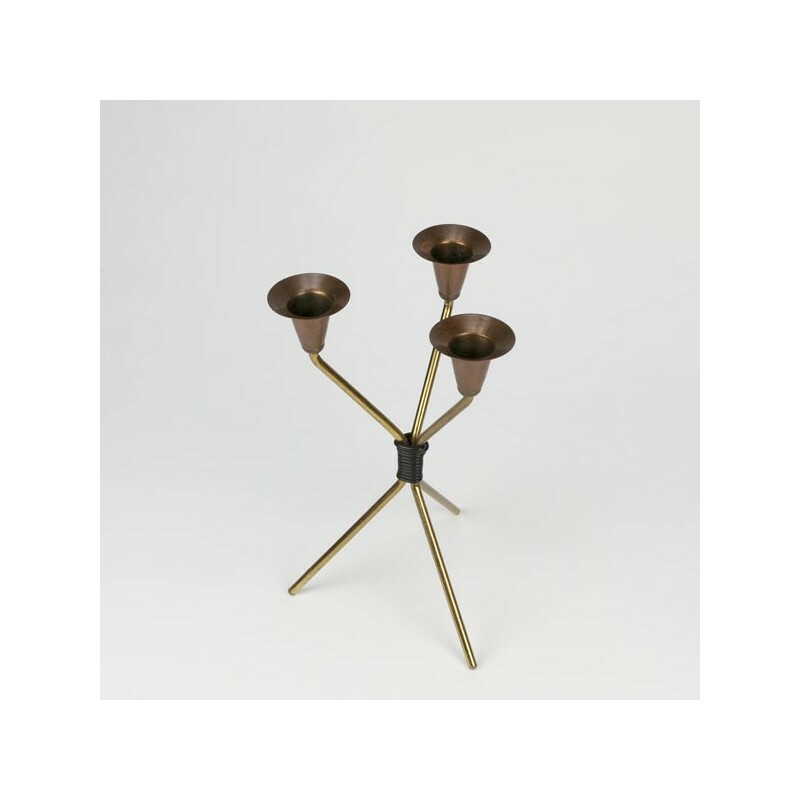 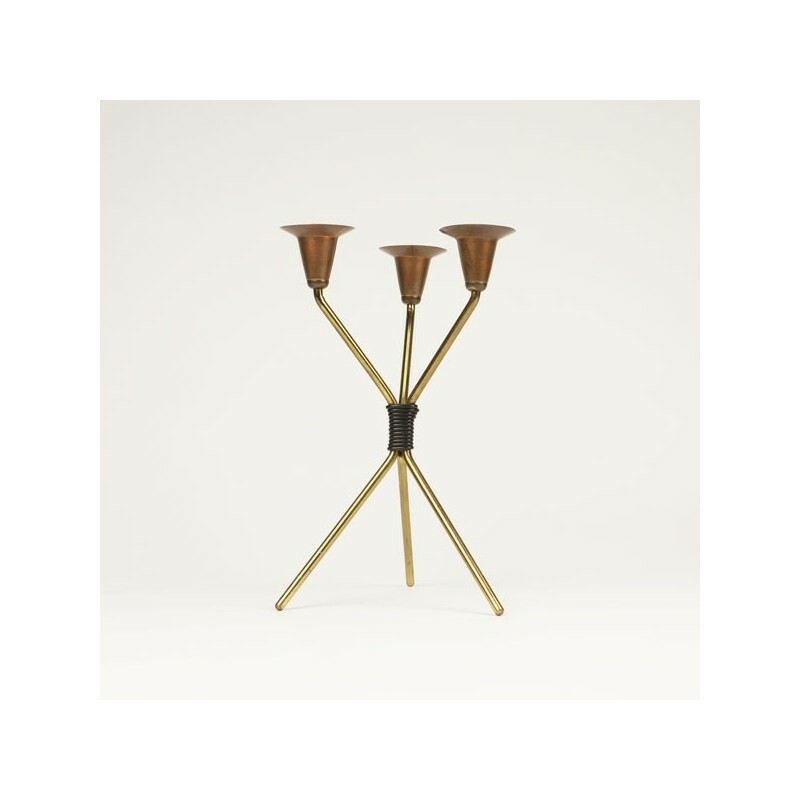 The candleholder is made of a copper-colored metal. 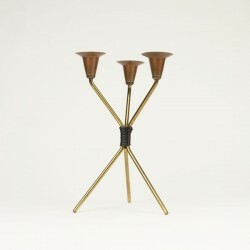 The condition is good, the size is 21.5 cm high and 13.5 cm in diameter.